Shower your bride-to-be with rhinestones and jewels. Who doesn’t love a little bling! 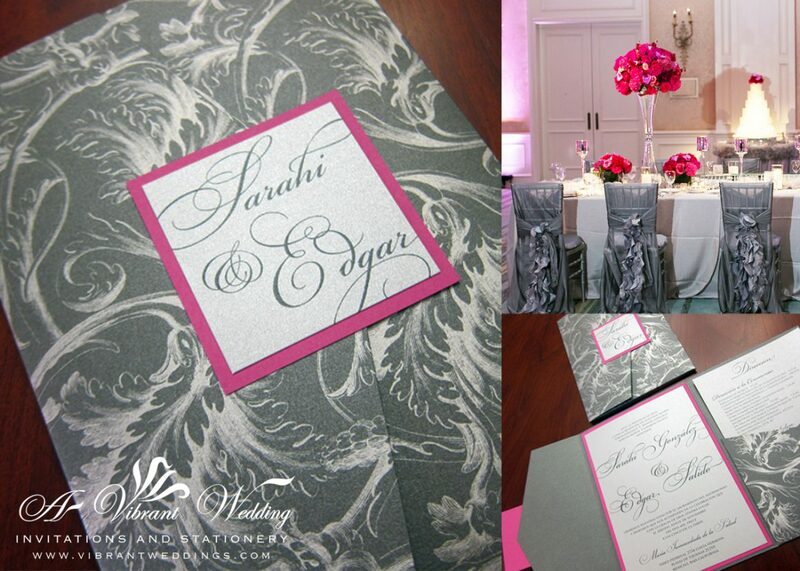 To view our extensive portfolio or to customize your own invitation, please go to http://www.VibrantWeddings.com or contact us at (619)852-6886. $7.00 per invitation suite for a set of 100 invitation suites. Fully assembled. Rhinestones are an additional $0.50 per rhinestone (this invitation has 4). 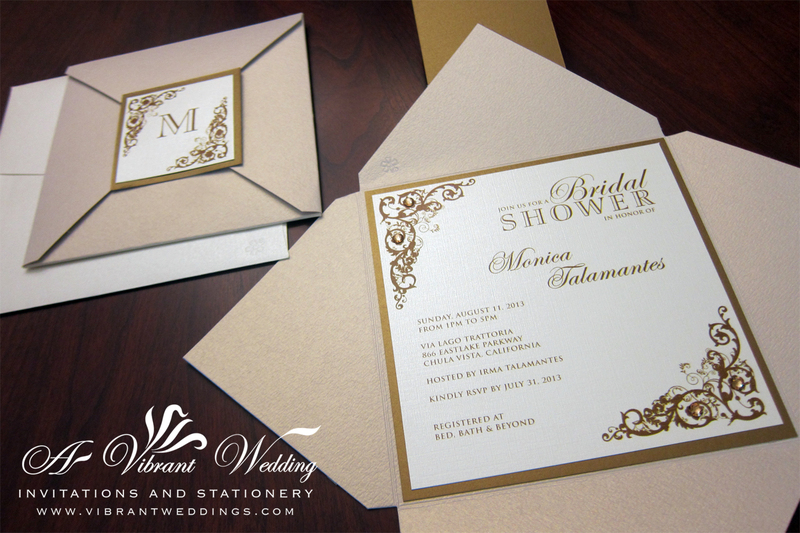 Included are 3-Layered Envelofold invitation, 2-layered Outer Seal and two blank metallic envelopes (White or Ivory).